Yes, that’s right…it’s not the DaVinci robot or the physician’s use of Factor 7 that end up being the major portion of the overhead in running a hospital. It’s the staffing. I was amazed when I learned this as part of an MBA course, and now I’ve seen it repeated across organizations. What does that have to do with my claim above about case managers and hospital attorneys not being so useful? Read on. Isn’t it amazing how education frames things we thought we knew in a way that sometimes flips them on their heads? Let’s talk a little about some Lean concepts that reframe how to think about hospital staffing. First, consider Value Added Time (VAT). VAT is the amount of time in a system spent adding sometime of value to the eventual output for which the customer will pay. In healthcare, we have a special problem in applying the definition of VAT to what we do. (More about that here.) After all, we are adding value to the patient, yet it isn’t that patient who pays. If we treated the note / documentation as the product we would re-align a lot of how we do what we do in healthcare. Of course, we don’t want to commit fraud and so whatever we said we did for the patient in the note would actually have to be done. The point here is that, in most systems (including healthcare) we spend less than 1% of the total time in a system as Value Added Time regardless of whether we consider the thing to which we add value as the patient or the documentation. Amazing, and true. What helps us find and label waste in our healthcare systems? DOWNTIME. Do any of these look familiar? Of course they do. We practically can’t walk around a hospital without seeing them everywhere. Now imagine a system where DOWNTIME is minimized. Less defects like wound infections? Then not as much need for infection control. The attitude in Lean (and Six Sigma) is that, if you get things right the first time you have MUCH less need to pay for rework elements. What do rework elements look like? Well, some are entire positions we’ve created because we haven’t been able to adequately get it right the first time. Lousy quality of handwashing, vent weaning, or other issues? Create an infection control department with five or six staffers. Unable to get great outcomes and patient satisfaction? Better have some patient safety staff and lawyers on board to help out. The bottom line: those positions are born from rework, and the attitude that rework is ok and expected. Like many service industries, healthcare systems operate at around 1 defect per every 1000 opportunities at making a defect–and it’s lulled to sleep as it thinks that ok. It’s not ok. I’m not saying that lawyers, case managers, or infection control staff are bad people or useless. I am saying that the fact we have them, and need so many of them, is a sign that the attitude toward quality is WRONG. It’s expected that those positions exist. Instead, it should be expected that those positions are minimized–because we get it right the first time. So, let’s address our title of this piece: it’s not that the staff in these roles don’t do a great job. In fact, lawyers, case managers, and infection surveillance really help people. Yet these roles are useful only in the world of healthcare where rework and error correction is expected. I’m not saying we should wake up tomorrow and eliminate these roles from our hospitals. However, why not use what we know about quality to get it right the first time? Why not re-focus healthcare from recovering from defects to eliminating their creation? Let’s minimize re-work roles. Think we can’t? 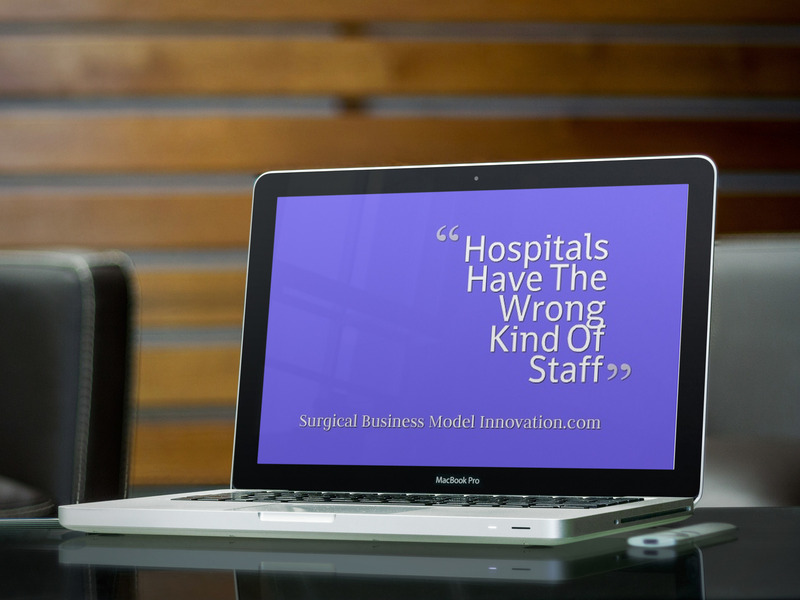 Think hospital systems are too complex to leverage the tools of Lean and Six Sigma? Look around the blog–there are plenty of examples on here of how those systems work just fine in healthcare. * oh, and by the way: I’m not so extreme in this view. Robert Chalice’s Improving Healthcare Using Toyota Lean Production Methods echoes this sentiment. See page 105. Next Next: Surgeons: Don’t Ignore This Severe, Treatable Disease!